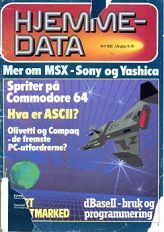 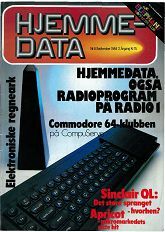 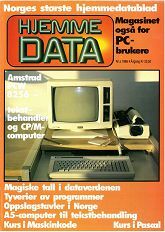 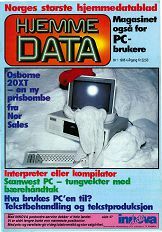 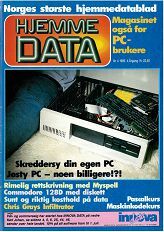 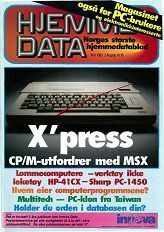 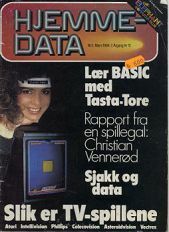 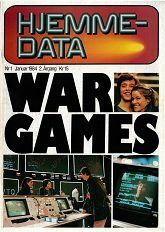 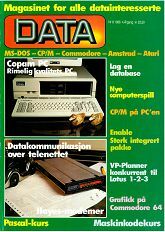 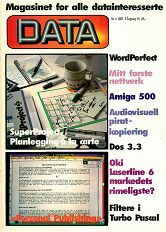 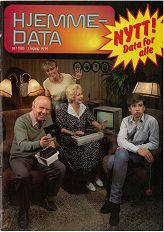 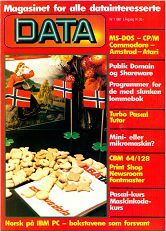 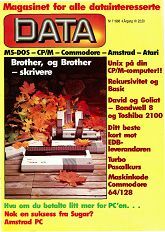 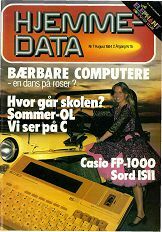 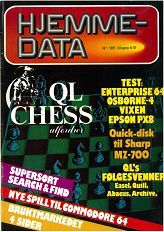 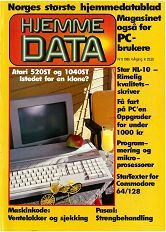 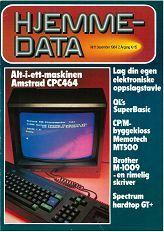 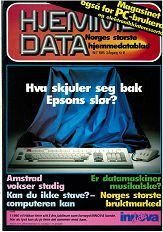 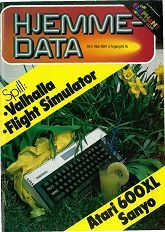 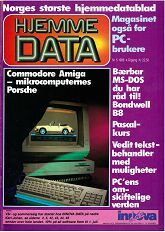 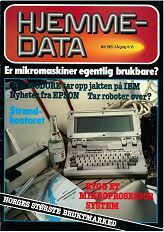 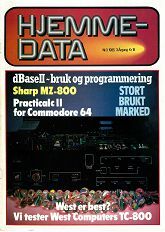 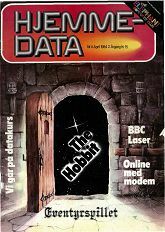 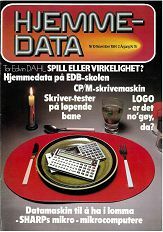 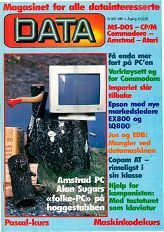 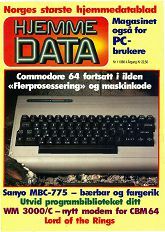 A Norwegian (Norsk) computer magazine covering tv-games, computers and other related computer articles. 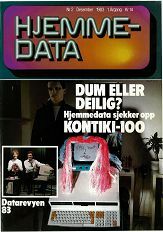 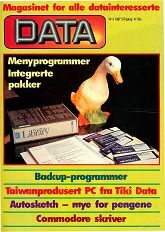 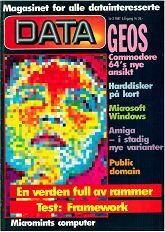 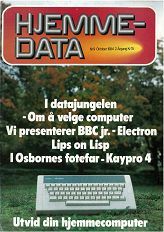 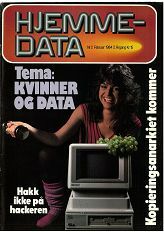 In the beginning it was called "Hjemme-data", in 1985 to "Hjemmedata" and finally in 1986 to just "Data". 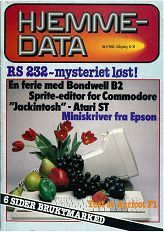 In Feburary 2015 a donation came for all the last missing magazines to allow me to scan them. 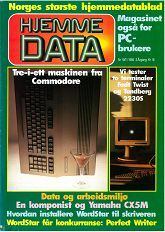 The collection is complete! 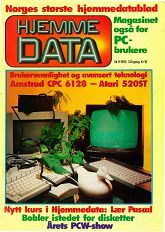 Contained Frithjof Arngren catalog inside. 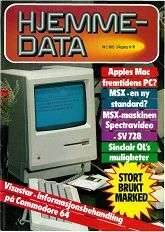 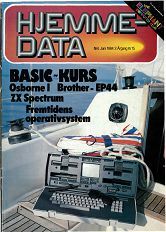 Magazine changed name to "DATA".